Protective Covers - Suitable for all our round and rectangular ranges. 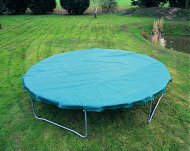 A protective cover is not designed to be completely waterproof, it protects from UV rays, dirt and leaves and when in position tells the trampolinist that it is now "out of bounds". 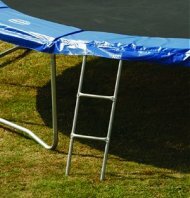 A removable ladder that will fit any standard trampoline. For those who live in windy or open areas we offer an Anchor Kit to secure your trampoline to the ground. Easy to install - just screw the anchors down flush into softened ground and then attach the anchor straps. Holds the trampoline securely in place during high winds or storms. Easily unhooks from anchor stakes for ease of movement. Secures leg joints to frame and frame to ground. 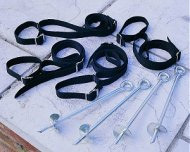 Kit comprises of 4 anchor stakes and 4 anchor straps.